On this week’s episode, Samantha Cavalli and Nick Friend talked with senior football players Kenny Bradley and Jordan Schemm about playing in their last Cortaca game in a Bomber uniform and the football team’s playoff situation in the Liberty League. On this week’s episode of “How IC Sports”, Samantha Cavalli and Nick Friend sat down with junior libero and defensive specialist Tara Stilwell to talk about the volleyball team’s success and their upcoming Liberty League Conference championship. 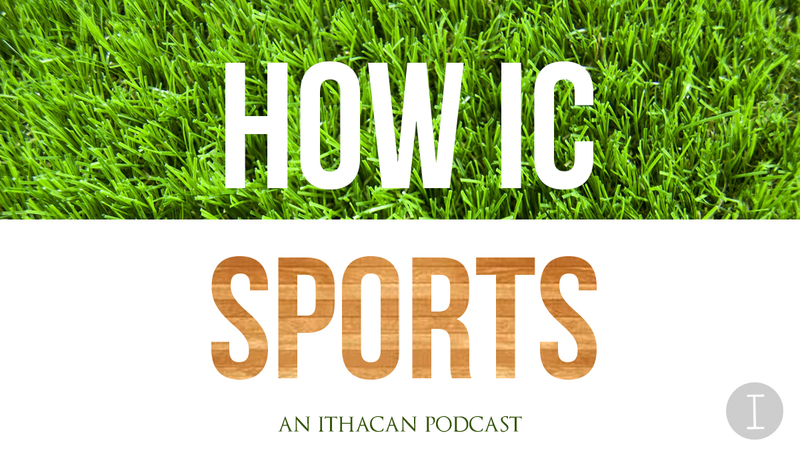 On this week’s episode of “How IC Sports”, we welcome back senior Ithacan writer Matt Hornick and bring on Jesse Chen from ICTV’s “Hold That Thought”. On this week’s episode of “How IC Sports,” sophomore goalie Max Lichtenstein of the men’s soccer team and Charley Novack from VIC Radio’s “Triple Threat” joined hosts Samantha Cavalli and Nick Friend in their discussion of this week in sports. On this week’s episode of “How IC Sports,” Cal Dymowski from ICTV’s “Hold That Thought” and “The Gridiron Report,” and senior tennis player Lorenzo Viguie-Ramos joined in on national sports topics with hosts Samantha Cavalli and Nick Friend. On this week’s episode of “How IC Sports”, Samantha Cavalli and Nick Friend were joined by senior libero and defensive specialist Kayla Gromen of the volleyball team and the host of VIC Radio’s “The Mayo and Monk Show” Brett Mayerson.